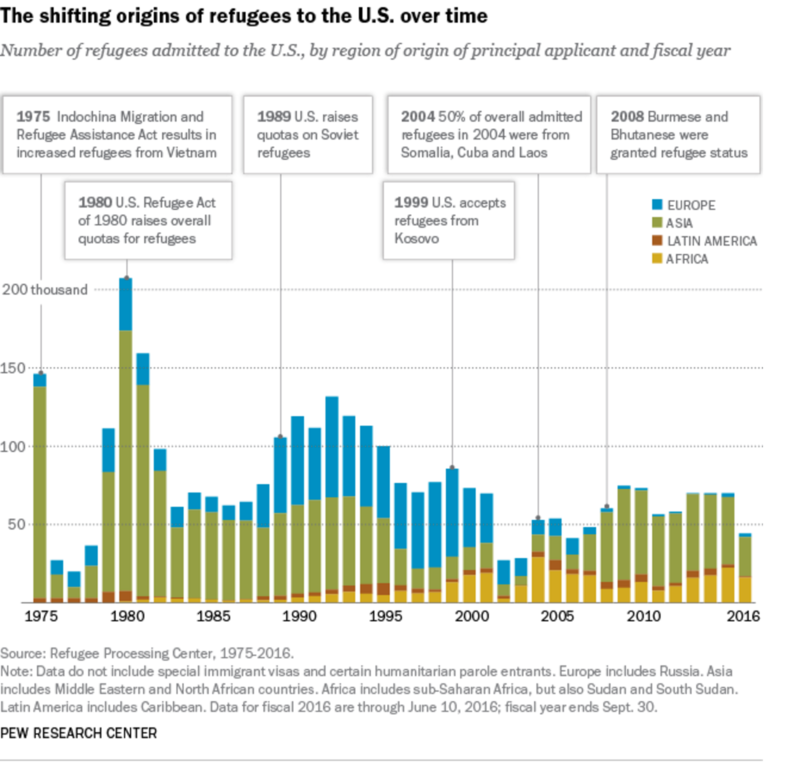 Scooper - Technology News: Where do refugees arriving in the US come from? Where do refugees arriving in the US come from? The increased flow of refugees across international borders has become a major challenge for many countries around the world in recent years. The conflict in Syria has had a particularly severe impact. Upwards of 12.5 million Syrians have fled their country, seeking asylum throughout Europe and further afield in countries like the United States. While Syria may be the most high-profile source of refugees heading for the US, it is not top of the list of those being taken in. 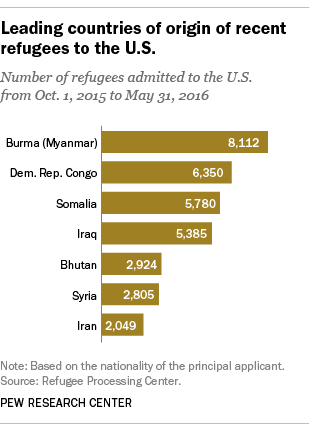 According to new research from the Pew Research Center , of the more than 40,000 refugees who have been admitted to the United States so far in 2016, the largest numbers have come from Burma (Myanmar), the Democratic Republic of the Congo and Somalia. Next come Iraq, Bhutan, Syria and Iran. Burmese nationals now make up the eighth largest group of refugees in the world – with many of them choosing to settle and begin a new life in the United States. Muslim Rohingyas make up many of these refugees. Described as “the most persecuted minority in the world” by the Economist , since 1982 they have been fighting for citizenship. The United States has pledged to take in 10,000 Syrian refugees by the end of the year but so far the number accepted is much lower . During the presidential campaign Donald Trump pledged to ban Muslims from entering the US and “suspend immigration from areas of the world when there is a proven history of terrorism ”. Unlike Canada and some countries in Europe, most notably Germany , the United States has been much more reluctant when it comes to accommodating Syrian refugees. According to the US Citizen and Immigration services , refugees are defined as “people who have been persecuted or fear they will be persecuted on account of race, religion, nationality, and/or membership in a particular social group or political opinion”. Over 3 million refugees have arrived in the US since 1975 . After numbers peaked in 1980 the numbers have fluctuated but remain consistently lower. The US government says it maintains its commitment to the country’s “ proud history ” of refugee resettlement.